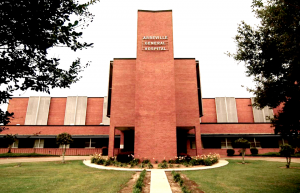 Abbeville General is located in rural Vermilion Parish approximately twenty minutes south of Lafayette, La and has become a growing network of healthcare facilities and services, both in and out of it’s Hospital. AGH has recently made the decision to remove the word “Hospital” from its logo because it has become so much more than a hospital. Abbeville General houses multiple outpatient services such as Cancer Center of Acadiana at Abbeville General and Sleep Center at Abbeville General, including multiple health clinics in Abbeville, Maurice, and the opening of their most recent rural health clinic in Erath. 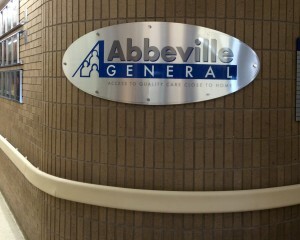 Abbeville General has just completed its new Emergency Room expansion and renovation, and is working to give the remainder of the hospital a fresh new “face-lift”. “We are growing and expanding to meet the expectations of patients and provide access to quality care close to home,” says Brittany Thibodeaux, RN, BSN. As a community-based hospital, our priority for 47 years has remained the same. With growth, revamping and expert help from one of the largest large format digital companies, Pixus Digital Printing has helped this hospital with a logo face-lift. “This is where our relationship with Pixus all started! They helped create a new version of our existing logo giving it a new updated look. 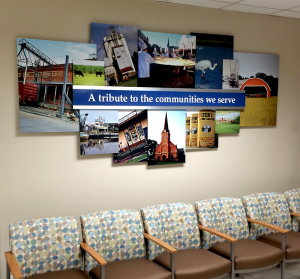 Pixus then created new wall displays of our newly renovated logo to hang at the entrances of the facility and blend seamlessly with recent renovations taking place throughout Abbeville General,” says Thibodeaux. With the hospital walls freshly painted and bare, we were ready to warm up the facility with something new and inspirational. Thoughts of paintings, art, and random photos were first discussed, but hospital administration wanted something more meaningful, warm, inviting and of value to its patients, customers, family members, physicians and employees. Finally the thoughts of being blessed to live in such a beautiful community rich in culture and history was the key. Why not fill our walls with images from our own back yard? Why not feature beautiful landscape our people lived on, worked on, farmed on, hunted on and ate from? Our values are to maintain an organizational behavior that is honest, forthright, and responsible. Principles that guide our daily practice will display the consideration of moral and ethical values of the individual as well as the organization. We will strive to maintain these principles through excellent relations with our customers, suppliers, other healthcare providers, educational institutions, payers and the community.